Keynote speaker John Baldoni is a recognized global thought leader, seeking to instill hope and optimism to all he reaches and teaches. He has established himself as a world authority on topics that matter to leaders who seek insight into leadership challenges of the day. He helps managers achieve positive results by focusing on leadership, motivation and coaching. John Baldoni is not only a leadership consultant he is also an internationally recognized coach, author and speaker. Since 2007, he has continually been named among the top 30 Leadership Experts by Gurus International, on their list of global leadership gurus. He has been on the top of this list, as a top leadership expert, for five consecutive years. Beginning his career in an office on the fifteenth floor he had a view of a private golf course, and around the corner was a view of the Pacific Ocean. John however, gave all this up to start his own business. As time would tell, he was able to establish a career as a highly requested communications and leadership consultant. 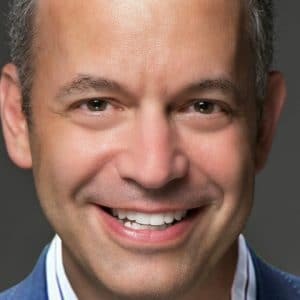 He has had the honor of working with senior leaders in practically every industry from pharmaceutical to real estate, and packaged goods to automobiles. John speaks to a variety of audiences; he speaks to corporate, professional, military and university audiences. Johns coaching clients include fortune 1000 companies as well as non-profits. He has taught people what it means to inspire at the top of a mountain in the Canadian Rockies. Additionally he spoke to nearly one thousand USAF/JAG officers at sea level in Florida, on leadership and communication. His keynotes and workshops leave attendees inspired. Providing stories of great men and women, with a hint of light hearted humor, he is able to give practical down-to earth advice that individuals can apply. John is passionate about leadership and enthusiastic about helping people achieve their leadership ambitions. Through his books and many columns for leading business publications, John has become a source of practical wisdom. John regularly contributes online to CBSNews/MoneyWatch, Bloomberg/Businessweek and Harvard Business Review. His book, Lead Your Boss, The Subtle Art of Managing Up, was chosen as a notable leadership book in fall 2009. His more recent book, Lead With Purpose: Giving Your Organization a Reason to Believe in Itself, was published in Fall 2011. 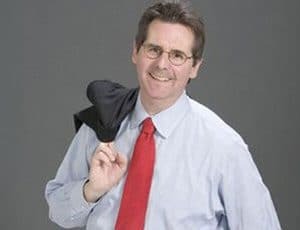 Additionally he has appeared on many radio programs, including the national version of Michael Smerconish Show and has created video coaching series for Athena Online. These forms of media allow John to reach a wider audience with his leadership insights.